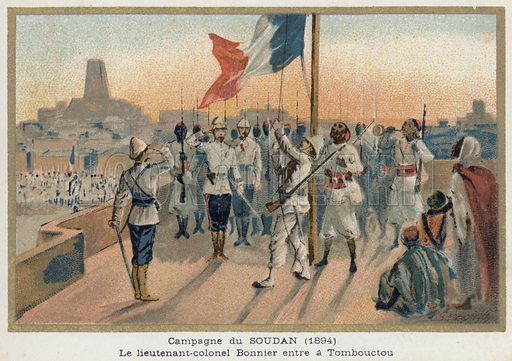 Entry of Lieutenant-Colonel Bonnier into Timbuktu. French educational card, c 1900. Available worldwide for immediate download up to 4,768 x 3,356 pixels.